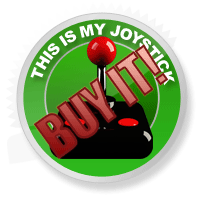 Metal Gear Solid V: Ground Zeroes Review - This Is My Joystick! As I wrote last year for IGN, I recently became something of a Metal Gear convert (and an egg convert too, but I’m not going into all that again). Because of this, after years of indifference towards Kojima’s hugely popular stealth franchise, I only lately found myself able to muster excitement for the next new instalment Metal Gear Solid V: The Phantom Pain and its newly released prologue, Ground Zeroes. Only, while the open-world Ground Zeroes – acting as a surprisingly short teaser for the former – aptly demonstrates exactly how the winds of change can be a massively positive thing for Metal Gear Solid, I can’t deny that its new tone left me a little fearful for the series’ trademark charm. For a Metal Gear title, Ground Zeroes’ plot is surprisingly low on Kojima’s typically endearing waffle. Snake (formerly Big Boss, formerly Naked Snake, etc. etc.) is on a mission to rescue both friend and ‘frenemy’, as plucky child soldier Chico and double-agent Paz are being held captive and tortured at a US-owned, Cuban-based prison encampment. Snake needs to get them out as quickly as possible or find his private militia compromised; that’s his sole purpose on this tiny Cuban island. Although the plot is comparatively minimal, you might have a hard time understanding the characters or what’s come prior if you’ve never played the previous game, PSP’s Peace Walker. Though being Metal Gear, I can’t promise that all holders of a degree in metalgearology™ will fully grasp it from the dialogue alone either. It’s also remarkably uncharismatic for Kojima. Sure, it’s enjoyably gritty and dark, slickly produced, but it’s just too… serious. Save for a surprise end to one of the Side Ops, Ground Zeroes painfully lacks the trademark personality and humour of its forebears and, for me, it’s not quite the same without it. In the core mission, this new direction culminates in one of the most graphically shocking and uncomfortable events I’ve ever witnessed in a video-game and, after that, one of the most bizarre. 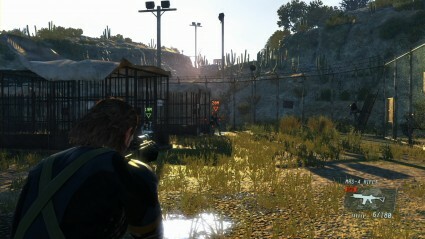 I’m all for exploring dark and twisted scenarios, testing the limits of decency can be enjoyably confronting when made to squirm with uneasiness as I did with Ground Zeroes, but parts of the shocking ending just don’t sit thematically right for me; the end isn’t really justified by the set-up. Frankly, with what’s hinted, I can’t decide whether it’s more like a scene from the movie SAW or an episode of South Park. Elsewhere, though, change has been undeniably good as the FOX Engine handles impressively. Snake’s controls have always been something you just had to get used to in previous efforts, but if you’ve played a third-person shooter before you’ll feel right at home now thanks to tight, responsive controls that are natural from the get-go. Likewise, Snake’s animations are extremely smooth now, so switching between standing, crouching and prone positions, plus sliding in and out of cover now looks and feels incredibly fluid. I did have a worry that slicker motion would mean less of a focus on stealth, but those worries were unfounded. Sure, with smoother aiming it’s a little easier now to tag a guard with the old ‘Dreamy Sleepy Nightie Snoozy Snooze’ bullets and when left with no other alternative you can gun your way out of trouble; but as a leading tactic, shooting first is very rarely ever encouraged and even rarer effective. The mechanics to help keep you invisible to guards’ attentions aren’t the only areas to see improvement, though. For example, MGS’s clunky but classic ‘boxed’ inventory system is now officially history, replaced by a streamlined setup assigned to the D-pad, meanwhile diving for cover or the ability to pick up any weapon are very nifty and welcome additions to the formula. Even less obvious decisions, like having in-depth briefings and intel just a button press away is largely more convenient than calling someone in the old codec system. Ground Zeroes’ length has obviously been a point of contention for some and it’s true that you can see most of what it has to offer in as little as three hours, depending on how methodical you want to be. Its structure doesn’t help in this regards. Going in I was expecting an open world with several side missions littered around the map that I would explore at my own leisure. Instead, each side mission becomes unlocked once you’ve finished the core mission – which took me around 30 minutes – and then you enter each one separately from the main menu rather than in a fluid open-world experience. This is absolutely fine in execution as, similarly to Peace Walker, you’re inserted into the area with a very specific goal each time. The types of mission you’ll face are undoubtedly works of genius. The core mission for example, where you must rescue Chico and Paz, is brilliantly thought-out and, in the second stage in particular, you’re left to actually use your ears and brain to work out the location of your second goal. It was truly refreshing not to have my hand held, not to be mindlessly following a mission marker, instead using only my wits and the available clues to help me understand the environment. The four extra Side Ops missions are just as well executed and varied, with targets to take out, prison defences to destroy and prisoners to rescue before making a daring escape. The nature and conditions of the Side Ops missions are changeable as you play; in an assassination mission, if I took too long my targets would change locations, leaving me to either stumble on them by accident or wait for further intel updates from Miller, Snake’s right-hand man. Others threw in new or optional objectives for me to consider and, although scripted, it was nice to be kept on my toes in this manner. The missions are few, but they do offer plenty of replay value; I certainly feel that I’ll revisit Ground Zeroes again to experience missions from a different angle, experiment with the tools at my disposal or even just try to beat my ranking. The environment is stunning no matter the time of day. Ground Zeroes looks and performs wonderfully. I reviewed the PS4 version, and while there are one or two close-up texture effects that give away the fact that you’re looking at an upscaled port of the PS3/360 version, the new hardware’s extra oomph is definitely apparent. Snake’s character model is amazingly detailed, not just from his apparel, but even in the wrinkles of his weathered face. The design of the island itself impresses heavily too, with incredible lighting and weather effects. 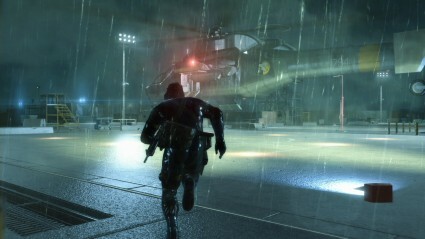 Whether it’s the rain beating down on the island causing everything to glisten in the moonlight, the way material seems to move and react realistically to windy conditions, or even just the random particles of dust blowing around during an otherwise still backdrop, Ground Zeroes is nearly always visually stimulating. Lastly, one of the major talking points prior to release was Kojima’s unceremonious dumping of long-time Snake voice actor David Hayter in favour of Hollywood darling Kiefer Sutherland. Now, despite totally understanding why people love him so much in the role, I’ve never been the biggest fan of Hayter’s Snake, yet I have to admit that Ground Zeroes did initially sound weird without him. Regardless, Sutherland has performed admirably, stepping into an uneasy job as far as the fans are concerned and, by the end, I felt his selection was pretty much justified. Sure, he might lack that B-movie charm, but it’s at least in line with series’ new direction and I’m looking forward to seeing how his take on the character evolves in The Phantom Pain. Ground Zeroes’ undeniable technical quality has me excited for the continued evolution of Metal Gear Solid. Mechanically it does nothing but impress, structurally it allows for plenty of replay value in spite of its length, and in terms of promise shown in its mission design I think it’s up there with the best the series has offered so far. I think most should invest, especially if you’re a series fan. I say that with a caveat, however. The quirky charm that went a long way in my eventual reconciliation with the series – on this evidence at least – seems to be no more and I’m not quite sure how I feel about it, especially after the poorly framed ending. That said, we’re only looking at a tiny glimpse of Kojima’s new vision, and who knows, maybe I’ll feel differently or be proven wrong when The Phantom Pain eventually hits. I’m willing to give it that chance.